Ice is the finishing touch to any cold drink and the quality of ice leaves a lasting impression. Hoshizaki is a leading manufacturer of commercial kitchen and food service equipment including ice makers and dispensers. Hoshizaki ice machines produce exceptionally hard and crystal clear ice that melts very slowly, allowing customers to enjoy their cold drinks for longer. 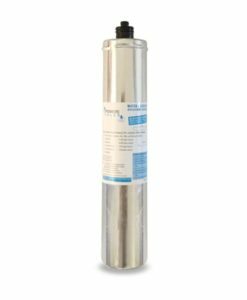 Using Hoshizaki ice machine filters from Premiere Sales deliver high quality, filtered water in your Hoshizaki ice machine. This ensures only the best ice quality possible.